Today's entry is provided by Ilia Alshanetsky. 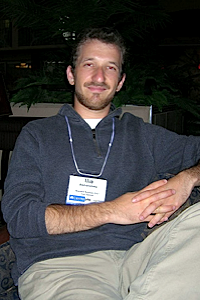 Ilia Alshanetsky is an active member of the PHP development team and is the current release manager for PHP 5.2. Ilia is also the principal developer of FUDforum, an open source bulletin board, and he contributes to several other projects. This command searches through the /path/to/code directory for all files with a .php extension (adjust as necessary to match your own naming conventions; add another extension such as .inc by appending -o -name \*.inc to the find command) and passes them one at a time to PHP's CLI binary with -l to indicate lint mode. In this mode, the file is parsed but not executed, and any existing parse errors will be identified. The scripts stops execution if a parse error is encountered.